Bro. Hoffman was raised in Frankston and graduated from high school there in 1989. He received a Bachelor of Science degree from Stephen F. Austin State University in 1993 and a Master of Education in Educational Leadership in 2000. While teaching in Jacksonville, Bro. Jason met Melonie, who was also serving as a teacher. They have three children. 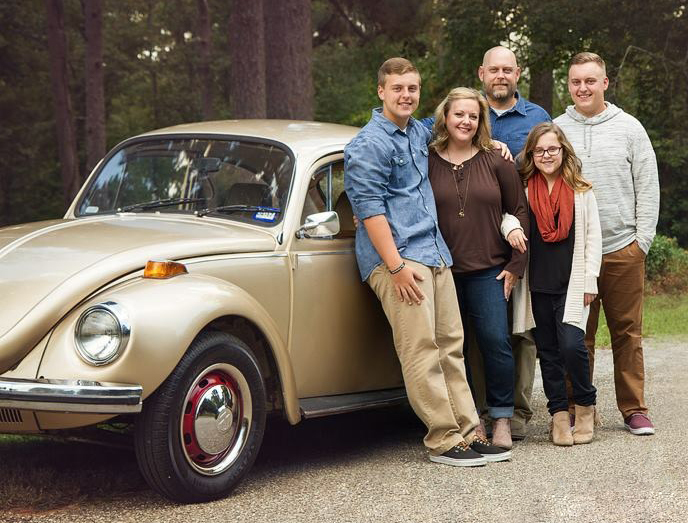 Their oldest son, Bryce, is currently a student at East Texas Baptist University in Marshall. Seth is a sophomore at Rusk High School and Ella is in the sixth grade at Rusk Middle School. Bro. Jason taught for two years for Jacksonville I.S.D. before going to Rusk I.S.D. where he served as an Intervention Teacher from 1996 through 1999. As an Intervention Teacher he worked with primary age students who were victims of abuse, violence and neglect. He served as associate pastor of Students and Education at First Baptist Church of Rusk from April 1999 through February 2015. In March of 2015 Bro. Jason became the Executive Director of Tree of Promise in Rusk and that is his current position. In other ministry positions Bro. Jason has served on the Board of Directors of Pineywoods Baptist Encampment since 2001. He has served as chairman of the Finance Committee since 2011 and served as the Board President from 2009-2011. He was the Director of PowerPlus Youth Camp at Pineywoods from 2002-2013.